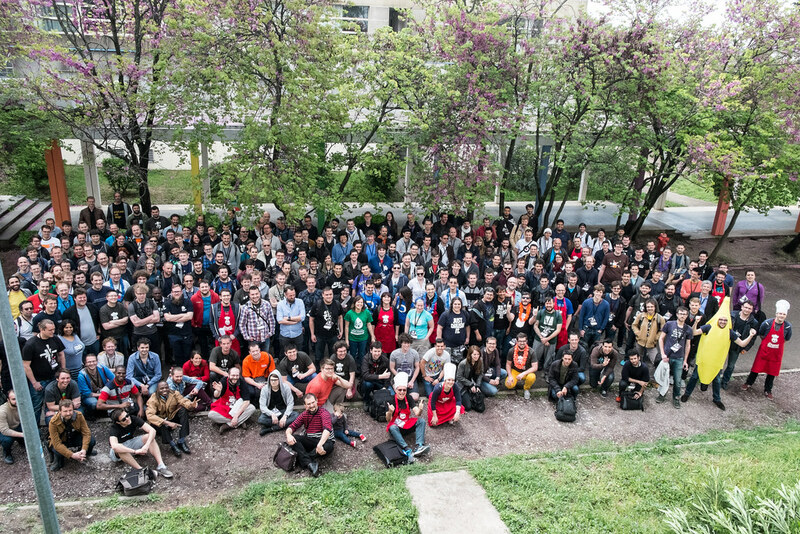 A few days ago I attended Drupal Developer Days in Montpellier, one of the most important events for developers, where about 300 Drupal folks from around the world meet to learn, discuss and contribute to the Drupal project. The event consists of seven days of code sprints, three of which include interesting sessions about the present and future of Drupal. The sessions are complemented by BoFs, where small groups of people discuss ideas and improvements related to a common topic. Here, I had the chance to participate in some discussions about visual regressions testing and also marketing automation solutions based in Drupal. Something that is also worth mentioning is the sprints focused in profiling the performance enhancements in Drupal 8 thanks to the new page caching system. The organisation was so amazing that we even had the opportunity to experience French home-made cuisine every day. These kind of conferences are important not only for the Drupal project development, but also for your team and your own development within the project. It is a great opportunity to learn from other professionals and share your knowledge with them in a completely open way, following the basic principles of the Open Source culture. Since I joined Tieto, we have started a contribution program to Drupal 8 core that allows us to improve our expertise about the next release of Drupal before it’s available so we can use our expertise in future client projects. The experience has been very positive, both for better internal team management as well as for the development of good programming practices. A few members of the team, Liisa, Chintamani and Sachin, just made their first contributions to Drupal 8 core that have been easily attributed to Tieto thanks to the new attribution system. This contributions are not only beneficial for the development of the team and for ensuring the future of the project, but also for positioning the company within the community, something that probably can impact in terms of sales.